Is it time to have your carpets professionally cleaned? Professional carpet cleaners use unique expert methods and commercial grade tools to provide a more in-depth, healthier clean for your carpet. Here are 3 of the best carpet cleaning methods you should ensure your professional cleaner uses when cleaning your carpets. The Hot Water Extraction Method is the most thorough and deep carpet cleaning method available. When used in conjunction with a Counter Rotating Brush, hot water extraction achieves outstanding results for removing stains, dirt, dust, and pathogens from the carpet. In the hot water extraction method (sometimes called steam cleaning), the carpet is first pre-conditioned. This dissolves soils and oil-based compounds, which may have become lodged in the carpet fibers. Water is then heated to a very high temperature and pressurized in a special tank. The hot water is injected into the carpet to dissolve dirt, germs and the cleaning solutions. The Hot Water Extraction Method uses a Counter Rotating Brush (CRB) to agitate cleaning agents and lift the carpet pile to restore its plush texture. During the cleaning process, the Counter Rotating brush can easily remove hair and other debris that may be otherwise trapped in the carpet fibers. 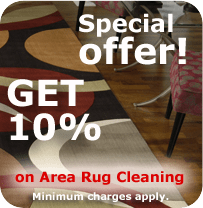 This all provides a better and more thorough cleaning result compared to other types of carpet cleaning methods, removing harmful germs and pathogens that might otherwise stay trapped in the carpet. The Counter Rotating Brush also helps to restore the appearance of your carpet by adding height to the pile. Typically, the CRB is very portable, which makes it easy for your carpet cleaner to use it in every area of your home in conjunction with hot water extraction, for outstanding results. To finalize the hot water extraction method, after approximately 15 minutes, the solution is vacuumed up under pressure. This helps to thoroughly remove dirt and residue from the carpet for a more hygienic and beautifully clean. The encapsulation method involves very little moisture and is useful for carpets or situations in which excess moisture would cause problems (such as humid climates). 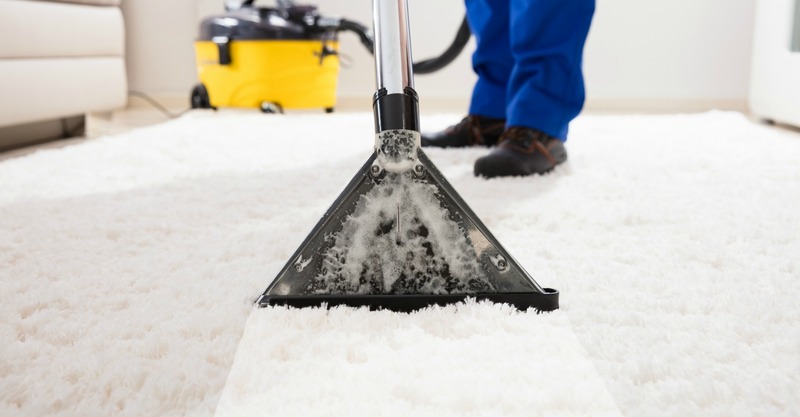 It is called encapsulation because specially formulated polymers are put over the carpet, which encapsulates and crystallize dirt and stains for easy vacuuming. The process leaves a dry and clean carpet without sticky or chemical residues. The Bonnet Cleaning method is intended for more routine, light maintenance. First, the carpet is vacuumed. Then, a cleaning solution is lightly misted onto the carpet. Caution must be used to avoid saturating the carpet because doing so will saturate the bonnet, reducing its effectiveness. After some time for absorption, the absorbent pad or bonnet is used on a machine that spins the bonnet over the carpet surface. The rotations of the bonnet work the chemicals into the carpet while also pulling the chemicals and dirt back up. When you are deciding between potential carpet cleaners, inquire about the methods and tools they use. Access to better, commercial-grade, cleaning equipment and knowledge of the most effective methods is one key reason for seeking out professional cleaning services in the first place. To find the best carpet cleaning method for your carpets and area rugs, talk to Legacy Carpet Cleaning today for expert advice and premium service. It’s interesting that hot water extraction is the most thorough method for carpet cleaning. My husband and I want to get our house sold, so we want it to be in the best condition possible. We want to have the carpets cleaned professional to attract buyers, so we’ll definitely find someone who can do hot water extraction.